01. What type of insurance program is being provided to us? The insurance coverage provides you with sums up to $1 million for Personal Injury, Bodily Injury, Property Damage and Litigation Defense that you become obligated to pay as damages in suits which constitute either common law, statutory or constitutional torts committed in your performance of official duties. In addition, the insurance coverages provide you with administrative expense coverage sums up to $100,000.00 to provide counsel and pay the cost of disciplinary proceedings in judicial sanctions including investigations. 02. Who is The Insurance Exchange, Inc.? The Insurance Exchange, Inc. is the administrator of the professional liability insurance program. 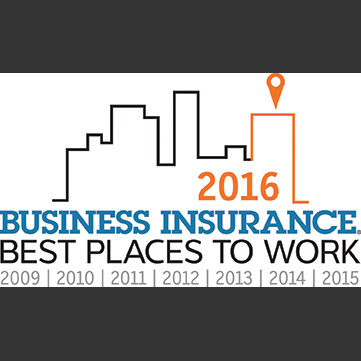 The Insurance Exchange, Inc. has been in business for 42 years. They are also the agents that have handled NTEU’s chapter bond program for more than ten years. 03. What is the cost of the professional liability insurance? The premiums are graduated based on the member’s GS grade. The premiums are significantly less than other professional liability programs offered to federal employees. 04. When will my coverage become effective? 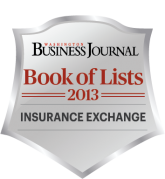 The Insurance Exchange, Inc. will verify your membership once they have received your application and payment. Your application will then be processed and you will be sent a certificate of insurance showing your dates of coverage. This policy is renewable on an annual basis and you will receive a new certificate when coverage is renewed. 05. How do I gain access to the coverage? 06. Who do I make the check payable to? 07. Do I have to be a member of NTEU to be eligible for the professional liability insurance? Yes. You must be a member of the National Treasury Employees Union to obtain the coverage. 08. What if I terminate my NTEU membership? If you terminate your NTEU membership, you will not be able to renew your professional liability insurance coverage. 9. What does “non-admitted company” mean? A non-admitted insurance company is one that is not licensed by the state or subject to the protection of the State Guaranty Fund, however, it is an insurance company that is permitted by the state to write coverage not usually written by licensed insurance companies. 10. Will the premium charged for the coverage change if the coverage is purchased later than the annual renewal date of October 1? Yes, however, the full premium is charged for any coverage purchased with the effective date between October 1 and January 31. Coverage purchased between February 1 and March 31 Will cost 80% of the full annual premium. Coverage purchased April 1 thru September 30 will cost 60% of the annual premium. VERY IMPORTANT: Please view the appropriate rate chart applicable to your effective date. 11. Will the premium change if my grade changes during the year? No, we will not adjust the premium if there is a change in your grade level during the policy period. Also, if you decide to terminate coverage during the policy period, no premium is returned to you. 12. I plan to retire this year. Can I receive a refund of the premium? Yes, simply contact us and provide your retirement date. You will receive a refund of any unused months on your policy. 13. How do I find out more information about the professional liability insurance? 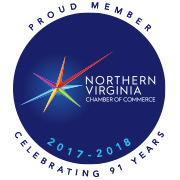 If you have additional questions regarding the professional liability insurance, please contact The Insurance Exchange, Inc. directly at 1-800-346-1403, or you may e-mail to: [email protected] If you have any additional questions regarding member benefits in general, you may contact NTEU’s member benefits department at (202)-572-5644. 14. I work for the SEC or the FDIC and we have a different pay grade. How should I compare this to the GS Grades shown on your website? 15. How do I make a claim against this policy? All claims must be submitted in writing to the following address: XS Group, 2750 Killarney Dr. Suite 202, Woodbridge, VA 22192. You must include a detailed description of any allegations or accusations against you, and copies of any legal paperwork you have received . Claims cannot be submitted via fax or email.